Key rings are one of the most practical souvenir /gift to users, if the key ring carries something more than just a logo, it would be much more meaningful. This key ring is a gift interacting with its target for promotion, establishing an integrate relationship between gift and promotion thus enriching the purpose of sending a gift. When every perfume has a story behind and philosophy to promote in a movie, why not a key ring? Key rings is one of the most practical souvenir /gift to users, if it carries something more than just a logo, it would be much more meaningful. 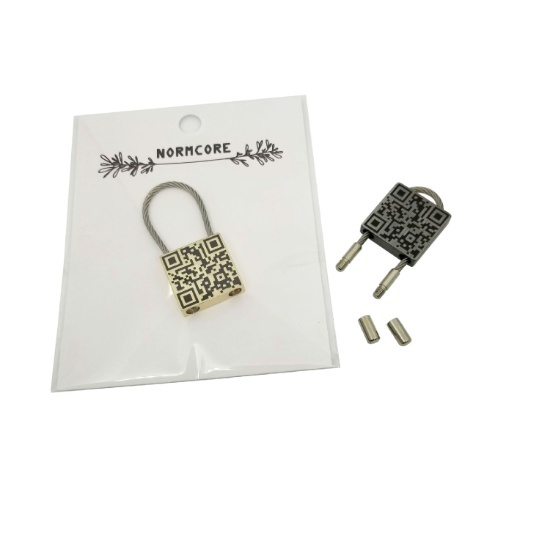 Turn 2D flat paper printed QR codes into a touchable and useful key ring. This key ring is a gift interacting with its target for promotion, establishing an integrate relationship between gift and promotion thus enriching the purpose of sending a gift. Square shaped 3D QR code charm. HKSGDA 2013 awarded merit- corporate gift.